The DD12031 will detect different types of radio transmitting equipment and inform you by way of a bar graph indicator or silently by a vibrating indicator. 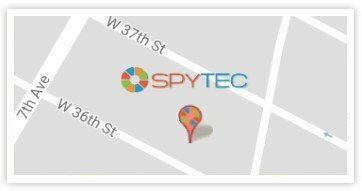 Currently there are a lot of commercially available surveillance devices that allow you to pick up different information from your office, apartment or car. These bugging devices work within different frequency ranges and have different modulation and scheme types. They may transmit using standard modulation, as well as non-standard. The DD12031 can detect all of these bugging devices when in active mode. You can test premises, cars or any type of item; including office equipment. You will also be able to check people for body-carried transmitters. You may perform covert sweeping using the vibrating indicator. In such cases you can carry the DD12031 and stand in close proximity to a potential threat. If the vibration starts near a certain place, this indicates that the radio field is higher and there is an RF device. You will also detect if somebody is using a GSM phone. There are known cases, when people have left their mobile phone off the hook and all the conversation was transmitted to another phone or even recorded onto an answering machine. In addition, there are plenty of GSM devices available on the market which can be used for surveillance and monitoring - GSM baby-watches, GSM-based alarm systems and different 'bugs' transmitting conversations via the mobile network. Last version includes the 'CITY' antenna; allowing the device to avoid interference from external sources in cities or near broadcasting towers etc. Searching for active radio transmitting surveillance devices (or RF bugging devices) in premises, vehicles and items. Room, body-carried, telephone and car bugging devices can also be found by the device.